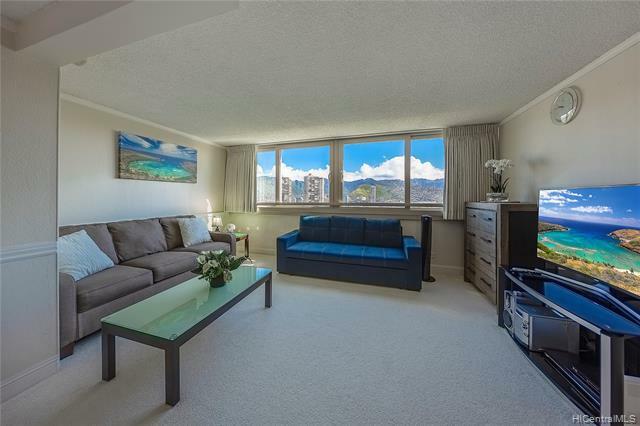 Desirable large one bedroom condo in Island Colony. 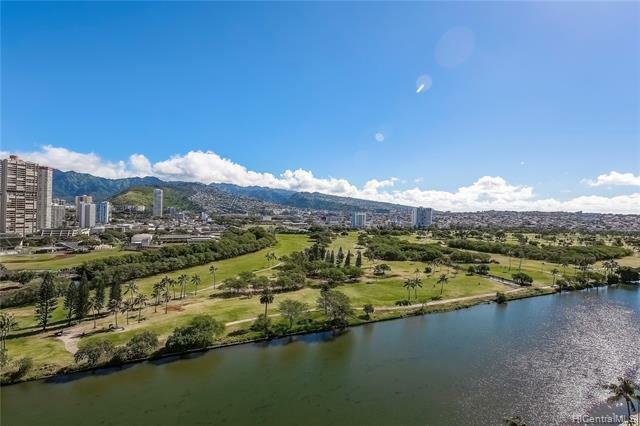 High floor, cool corner unit with beautiful Koolau Mountain, golf course, Ala Wai Canal, and city views in the heart of Waikiki! Island Colony is a great investment condo with wonderful amenities featuring a large recreation area with swimming pool, sauna, whirlpool, exercise room, barbecues, community laundry, and nice coffee shop. 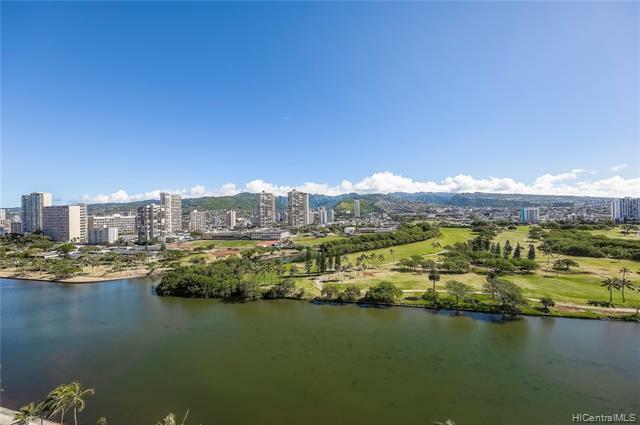 Popular for visitors and conveniently located close to International Market Place, shopping, restaurants, and beaches. 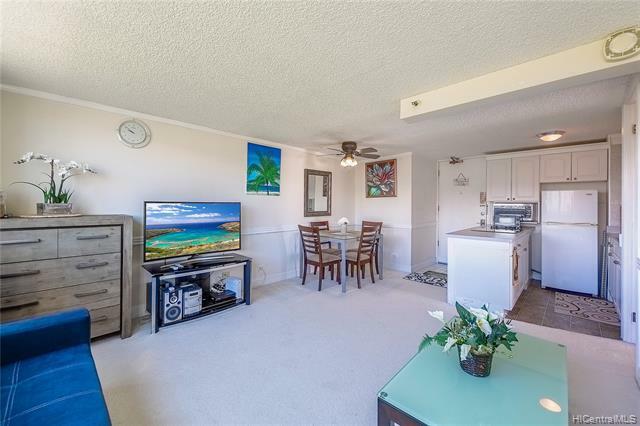 This fully furnished unit has spacious living room and large lanai where you can enjoy cool Hawaiian breezes and Friday night fireworks. Clean, in excellent condition, and move-in ready!